I’ll look at the statistical type in most detail, because it’s received least attention in the past, and because it has some fascinating implications for fashion, the media, and inter-group relations. This is a story that goes in some improbable-sounding directions. It starts with mediaeval pointy shoes, lust-crazed beetles, and beer bottles. Traditional answers tend to be based on the opinion of someone with status. Those opinions may be decorated with lengthy philosophical or moral arguments, but in the end, they’re just an opinion, and often they give the impression that the person involved was a grumpy old man who was fed up with seeing anyone else having fun. Here are some examples of sumptuary laws, i.e. laws that specify how much is too much, just in case you’re wondering whether I’m exaggerating. “No free woman should be allowed any more than one maid to follow her, unless she was drunk.” From Wikipedia. “Only the highest nobility (those of the gong and hou ranks) and the officials of the top three ranks were allowed to have a memorial stele installed on top of a stone tortoise.” From Wikipedia. “The length of … the points on mens’ shoes was strictly regulated to distinguish between nobility and common men- 2 ½ times the length of the foot for dukes, 1 ½ times for nights, and ½ the length for common men.” From digitalbard. “Peasants … could only own one pair of leather boots.” From digitalbard. It’s easy to make fun of sumptuary laws, but if you look at the context in which they arose, then you soon spot regularities. One common reason for sumptuary laws is to keep clear boundaries between social classes. The ethics of this are debatable, but the rationale is clear; the laws weren’t simply reactionary attempts to stop people having fun. Instead, they were part of a bigger set of issues. Another reason involves economics. In classical Roman society, there were serious concerns at one point about the amount of silver leaving the Roman economy to pay for luxury silks from the East. That silver could have been used to pay for things which would help the Roman economy, such as public works, rather than paying for ephemeral display. Elizabethan sumptuary laws had similar reasons behind them; Elizabeth was very much aware of just how little spare money was available within the economy of her country. This leads on to the next way of judging how much is too much, namely the implications that arise from having something. Advertisements about the good life are usually set in luxurious surroundings, such as gorgeous mansions. One of the clichés about winning the lottery is being able to buy a mansion or a castle. That’s understandable; some of those buildings are gorgeous by just about anyone’s standards. Here’s an example of an English country house. A lot of people would view it as a dream home. As you might suspect, though, the reality is somewhat different. One useful way of working out what you really want from life is to imagine that you have what you initially want, and then to think through the consequences. Some exaggeration can help to identify the key issues. Here’s an example. Imagine that you have a chateau in France, with stunning rooms like this one. As a statement of wealth, power and taste, it takes some beating. When you stop and think through the practical implications, though, you start to realise that maybe you wouldn’t be so keen on owning it after all. 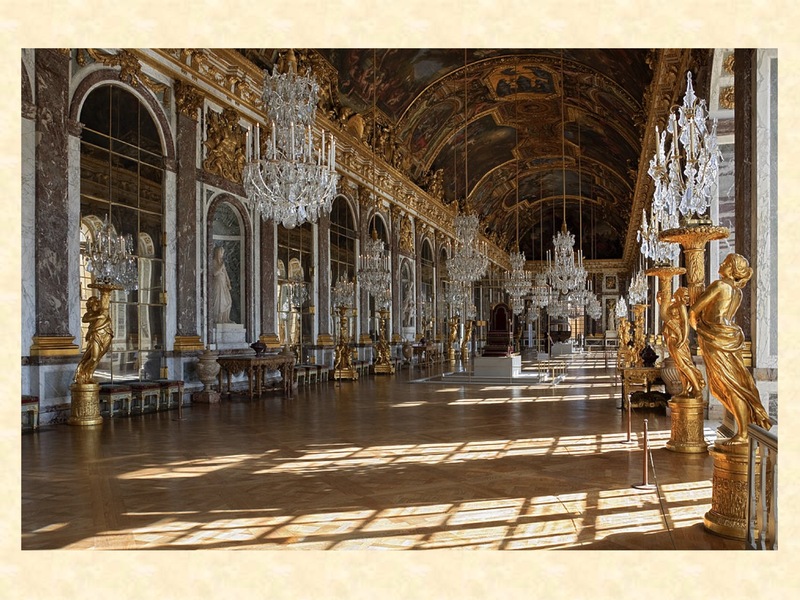 For instance, how would you make sure that the mirrors and chandeliers stay shiny and glittering? There aren’t enough hours in the day for one person to do the upkeep on that room. To maintain that room, and the building, and the grounds, you’d need a substantial number of cleaning, maintenance and gardening staff. Finding and managing staff isn’t exactly a restful pastime; just ask anyone who’s ever dealt with personnel. When you think of it from this perspective, there’s a lot to be said for a home that’s comfortably within the scope of what you can look after yourself. So, sometimes a good thing comes with a hidden price tag that you wouldn’t want to pay. Sometimes, though, there isn’t a hidden price tag, and then you can try a very different view of excess, namely that you can never have too much of a good thing. A classic example is the advice that you can never be too rich, or too thin, or have too much chocolate. There’s a literature on this, in the field of animal behaviour. That literature contains numerous examples of animals favouring objects of desire that are unnaturally exaggerated. These objects are variously known as supernormal stimuli or superstimuli. An example of superstimuli that appeared in the news recently was a study of mating behaviour in a particular species of jewel beetle. The females of this species are brown and shiny. When male beetles of this species discovered discarded beer bottles which were brown and shiny, and massively larger than the female beetles, they viewed the bottles as the epitome of sexual attractiveness, and proceeded to mate vigorously with them in preference to the female beetles. The researchers who carried out this study won an Ignobel Prize (a humorous award for research that cannot, or should not, be replicated) and received a lot of humorous attention in the media. Behind this study, though, there’s a serious point. With superstimuli, there doesn’t seem to be an obvious upper limit. In the case of the male jewel beetles, the beer bottles were several times longer than the female beetles, and hundreds of times bigger in volume than the females. The males didn’t treat this as evidence that the bottles might not be females; instead, they persisted in mating with the bottles until they died of exhaustion. In an earlier article, I described a very interesting paper about aesthetics by Ramachandran and Hirstein. That paper implied that there wasn’t an upper limit to superstimuli. However, there are indications scattered through the research into aesthetics that there may be another factor involved. This takes us into a finer-grained and more nuanced set of issues. I’ll start with a well-established phenomenon that’s entered popular culture in recent years, namely the uncanny valley. The Japanese robotics researcher Masahiro Mori noticed that if you make a robot more human-like, then people tend to like it more, but only up to a certain point. At that point, people start to find the robot creepy, because it’s moved into an unsettling zone where it’s neither definitely a robot nor definitely a human. Once it’s moved beyond that zone, the robot should start to become more attractive again (for instance, the cyborg Seven of Nine in Star Trek Voyager and the replicants in Blade Runner). Conversely, human beings can stray into the uncanny valley by routes such as plastic surgery, cosmetics and PhotoShop, which make the person look too smooth-skinned and blemish-free to be clearly human. Mori argued persuasively that many of the things we find unsettling and scary are in that uncanny valley, neither definitely human nor definitely non-human; for instance, dead bodies, badly injured people, and assorted monsters from fiction such as zombies, vampires and werewolves. It’s a plausible argument. It also ties in with other features of human cognition. I’ve argued in this blog and in my book Blind Spot that the uncanny valley is likely to be related to broader issues, such as Necker shifts between two or more different interpretations of a scene. The uncanny valley phenomenon raises questions about whether human aesthetic preferences are invariably a simple “more is better” effect, or whether something else might be going on in at least some places. When you start digging around in the literature, you find some interesting evidence pointing towards the existence of an upper limit to “more is better”. One example is height. There’s a solid body of research showing that height in males is positively correlated with assorted measures of social status and success, including salary. However, this tendency only works up to a certain point. In studies conducted in North America, that point is a height of somewhere between six feet and six feet two inches. Up to that height, the taller you are, the higher your salary is. Beyond that height, the effect fades away, except for a handful of cases such as basketball players where greater height has functional advantages. There’s a similar effect for the ratio between leg length and body length in women, where longer legs relative to overall body length are perceived as more attractive, but only up to a point. There appears to be a similar effect for bust size in women, where women with very large, cosmetically enlarged busts tend to be portrayed in the media as freaks, rather than as hyper-attractive because of a superstimulus effect. This is a difficult area to research rigorously because of a wide range of confounded variables, including a whole tangle of gender issues associated with the majority of studies (for instance, the tendency to focus on sexual attractiveness of women to heterosexual men). However, it looks as if there’s a regularity within those studies which find that more isn’t always better. The regularity seems to be that the “up to a point” figure is between one and two standard deviations from the mean average. What this translates to in lay language is that if you rank a hundred randomly selected people from shortest to tallest, then the tallest five or thereabouts will be perceived as having the greatest status, but the very tallest person will probably be perceived as being “too tall” or “freakishly tall”. The same would go for leg to body length ratio, and so on. In non-mathematical terms, it means that “tall” is attractive, but “very tall” is not attractive. The obvious assumption is that very tall people are moving into an uncanny valley, and starting to be perceived less favourably as a result. A further implication from these studies is that increasing height will move those people deeper and deeper into the uncanny valley, with no prospect of emerging from it at the other side. In this case, a better metaphor might be the uncanny cave. So what, if anything, is going on here, and what are the implications? To start with, there’s a widespread dynamic in nature that involves having more of a desirable attribute. There’s a solid literature about this, covering topics such as competition for mates and for resources. That literature also describes another widespread effect, namely that having more of an attribute may be good in one way, but may bring a cost in another way. A common pattern is that being physically bigger is better in terms of being more attractive to potential mates, but also more risky because it also increases the risk of attracting hungry predators. From the literature on superstimuli, it appears that generally there doesn’t seem to be a point at which “more” becomes “too much” for aesthetic reasons (as opposed to becoming e.g. “too risky” because of a separate set of reasons, and also as opposed to addiction, which is a complex, separate issue). From the literature on human aesthetic preferences, however, it looks as if there is sometimes a point at which “more” does become “too much”. There’s some evidence that this point is about one or two standard deviations from the average value (e.g. “tall” is attractive as opposed to “very tall” which is starting to move into the uncanny valley). I think that this aspect of the statistics of aesthetic preferences could be a rich field to investigate, because it ties in with a well-established body of research in psychophysics. That body of work dates back over a century, and it has done an impressive job of uncovering how human perception maps onto the physical properties of stimuli. One example of this is the concept of the Just Noticeable Difference (JND). If you ask people to judge which of two weights is heavier, for instance, then you can start plotting regularities in which differences people can or can’t perceive, across a wide range of absolute values. When Fechner investigated this in the nineteenth century, he found that there was a non-linear relationship between perceived differences and actual measured differences in stimuli. It’s a big, fascinating area with a lot of far-reaching practical implications. A further speculation is that the “distance from the average” model provides a possible explanation for something that sales people know all too well. It’s the customer who spends ages trying to choose something very tightly defined (e.g. “I want to buy a traditional nineteenth century town house with period features”) and who then buys something completely different, such as an ultramodern apartment. Sometimes this happens because the client is initially window-shopping for their fantasy purchase (e.g. the glossy sports car) but then settles down to the mundane business of buying what they actually need (e.g. the sensible family saloon). Other times, though, window-shopping clearly isn’t the explanation; the client is explicitly looking for their dream purchase, and is able to afford it. What might be happening in such cases is that the client is looking for something that’s a particular distance from the average in one direction and then, when they can’t find anything suitable there, they look the same distance in the opposite direction from the average, and find something at that point. It’s a speculation, but it makes sense, and it ties in with a lot of established findings from various fields. It’s obvious that different people have different world views in terms of what they desire. Some people want as much of something as possible; ultra-rich traders, for instance, who keep amassing more money even when they already have billions. Often, though, people have limits to their desires. Often, the reasons for those limits are practical ones (the “who will clean the mirrors?” factor). However, there’s also evidence suggesting that some of those limits form a statistical pattern, one or two standard deviations from the average. This issue has a lot of practical implications for any sector which involves trends in customer preferences. That description covers a huge number of sectors, from music and the media to houses, cars and fashion. A common phenomenon within those fields is what’s known in game theory as an arms race, where manufacturers compete on one feature, such as the number of features on a mobile phone. Usually what happens is that the feature ends up being increasingly exaggerated until it becomes silly, at which point everyone stops bothering about that feature, and the competition shifts to a new type of feature. A classic example is the big American classic car with huge tail fins, which was suddenly abandoned in favour of small, sensible town cars packed with neat design features. This sort of arms race may look silly from the outside, but it’s deadly serious to the manufacturers, who have to stay in the game, but who can’t be sure about when the bubble will burst, and leave them stranded with a product that’s become outdated overnight. When you start looking at these competitions in terms of psychophysics and of statistical distance from the average prototypical schema for a product, though, you have a way of looking for regularities in when the bubbles burst. Will there actually be regularities that manufacturers can use? I don’t know, but it would be fairly easy to find out, and it would make life a lot more manageable for everyone involved. Finally, thinking about how much is too much is useful for working out what you really want out of life. The question about who will do the cleaning might sound like a way of dampening someone’s dreams, but in fact it can be liberating. If you realise that what you want is the experience of living in a castle, as opposed to owning a castle, then your dream becomes much more likely to happen. Many castles have been turned into hotels. Staying for a while in a castle-turned-hotel involves far less cost than buying a castle, so you could spend many happy years fulfilling your dreams by holidaying in castles around the world. On which inspirational note, I’ll end for now. I’ll revisit the issues above, and a variety of related issues, in later articles. This entry was posted in aesthetics, categorisation, design, gender theory, mathematics of desire and tagged arms races, product competition, product features, psychophysics, superstimuli, uncanny valley by hydeandrugg. Bookmark the permalink.